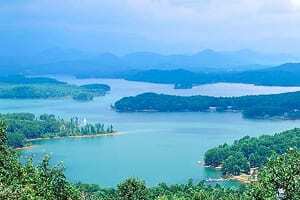 HIAWASSEE, Ga. – Lake Chatuge was the site of the 2018 Bassmaster Angler of the Year (AOY) point series tournament, and Towns County’s decision to host the sporting event yielded a high economic return. 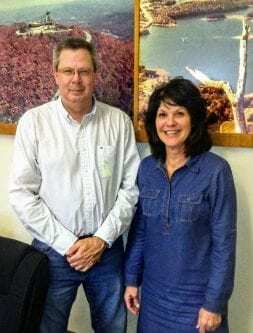 According to Towns County Chamber of Commerce President Candace Lee, over 10,800 visitors traveled to the area for the September event, generating approximately $2.1 million dollars in revenue. The expected return, cited by Bassmaster, was slightly underestimated at $1.5 to $2 million dollars. Towns County extended a host fee of $60,000 to secure the Bassmaster series finale, a commitment both Lee and Towns County Commisioner Cliff Bradshaw said did not come without much consideration and contemplation. In addition to the revenue obtained from the event, a total of 5,434 local jobs were supported by the wise investment. Lee and Bradshaw explained that the tournament will reap long-lasting results as familiarity with the Towns County area is better known due to exposure from the popular bass fishing event. 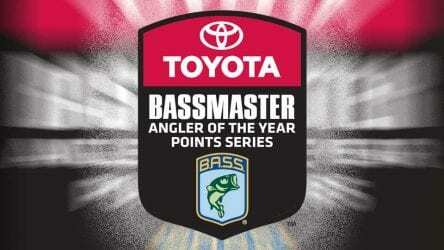 During the week of the tournament, coverage of the AOY drove over 798,000 visitors to the bassmaster website, with more than 336,000 unique visitors, and 6.8 million page views. Video coverage delivered more than 269,000 views. Towns County maintains an impressive $3.1 million reserve. Hiawassee, GA – Towns County Movers and Shakers held their weekly meeting on Friday, September 22, at Sundance Grill in Hiawassee. The featured speakers were Sole Commissioner Cliff Bradshaw and Hiawassee City Council candidate, Patsy Owens. Commissioner Bradshaw updated the group on local economic developments. 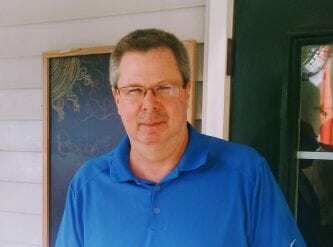 “The national economy has improved and we’re seeing the effects in Towns County. Our financial state is very good. The county is on budget and in some cases, under budget. Tourism is drawing a considerable amount of income and we’ve seen an 8.9% increase since 2007,” Commissioner Bradshaw said. Towns County benefitted from tourism in the amount of $48,780,000 in 2016 alone. Tourism provided a tax break of $862.23 per household in 2016, an increase from $735.71 in 2015. Real estate sales have also expanded with 219 homes sold by a single agency since the start of 2017. Grace Howard, President of Hamilton Gardens, praised the Commissioner’s “unbelievable cooperation” and announced a fundraiser will be held at Hamilton Gardens on Monday, October 23, sponsoring the “Daffodil Project.” The Holocaust Commission hopes to plant a daffodil in memory of each of the 1.5 million children’s lives lost. Hamilton Gardens would like to meet a goal of 500 bulbs planted in the Garden’s Memorial section by December. A dedication ceremony will be held on December 10, 2017. It is a nonpolitical, nondenominational event, and a survivor of the Holocaust is expected to speak. 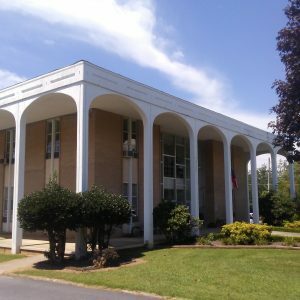 The Hiawassee City Council candidate forum will take place on Monday, October 2, at 6:30 p.m. at the Towns County Civic Center, located adjacent to the Towns County Courthouse. Fetch Your News will provide coverage of the event along with information on each candidate. Early voting begins on October 16, 2017. Hiawassee, GA – Sole Commissioner Cliff Bradshaw held his monthly meeting at the Towns County Courthouse on Tuesday, October 17, 2017. The topics of discussion included the local unemployment rate and a resolution to amend the commercial sign ordinance. 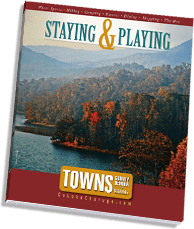 According to research gathered from the Georgia Department of Labor Workforce Statistics, Towns County’s unemployment rate decreased from 6.9% in January of 2017 to 5.8% in August of 2017. 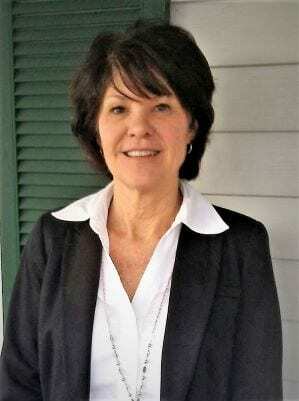 “The unemployment rate is definitely getting better,” Commissioner Bradshaw affirmed. 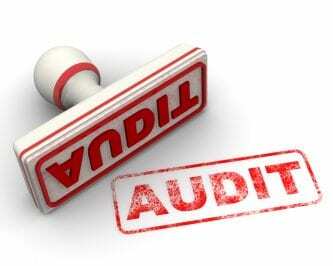 Statistics obtained from the Towns County Tax Assessors Office show real estate sales have steadily increased, a total of 1,607 residential properties sold between 2014-2016. Towns County saw an 8.9% increase in tourism dollars between 2007 and 2016. $32.28 million was acquired in 2007, while $48.78 million benefited the economy in 2016. Commissioner Bradshaw expects to see continued growth in the years to come. The tax relief per household from tourism dollars saved residents $862.23 in 2016, an increase from $735.71 the previous year. Local sales tax revenue continues to increase. An estimated $1,424,225 is anticipated for 2017, up from $1,386,097 in 2016. Commissioner Bradshaw also announced a resolution to amend the Towns County “Schedule of Fees.” A sign ordinance application review fee for area businesses will occur in the amount of $25.00, with an additional $25.00 cost for the final permit. $3.00 per square foot for each face of the signage will also be applied as well. Commissioner Bradshaw consulted surrounding counties for input on standard rates prior to reaching a decision. 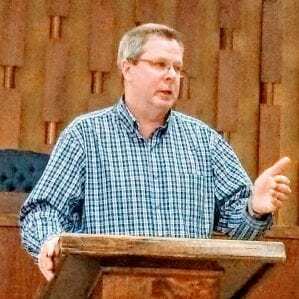 The Commissioner welcomed questions from the citizens, ranging from building code concerns to whether political signs are permitted on Hiawassee Square. The Commissioner’s meetings are held on the third Tuesday of each month at 5:30 p.m. at the Towns County Courthouse.